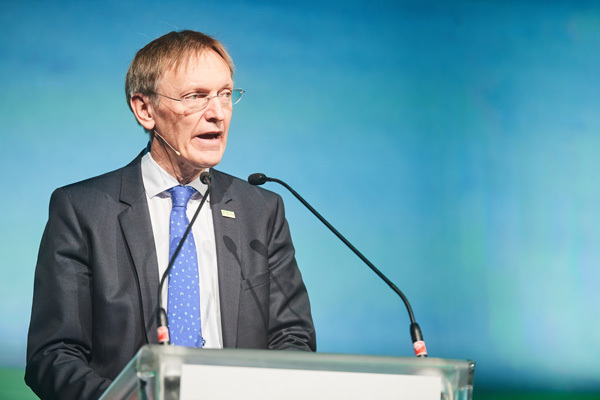 Janez Potočnik, Chair of FFA2017 and Chairman of the RISE Foundation, opened the daylong proceedings by welcoming participants to the 10th Forum for the Future of Agriculture. Speaking to a packed auditorium, he warned that time was running out in the race to reshape our current economic models and create a new sustainable society. “Our planet, our climate and our finite resources are already making sure of that,” he said. “We can no longer afford to wait and see, to keep using the old wasteful economic models of the 19th and 20th centuries and pretend that they will sustain us in the coming decades. We are surrounded by the evidence that they do not,” he added. The framework and direction for change have already been clearly mapped out: the UN’s Sustainable Development Goals (SDGs) and the binding Paris Agreement. However, these are global in scope. “What we need now is to drive solutions at the national level and engage all corners of society and work together,” Mr Potočnik emphasised. This year’s FFA is, therefore, concentrating on “the solutions we have now and the world we seek for tomorrow” and on the links between global, European and local efforts to achieve this. 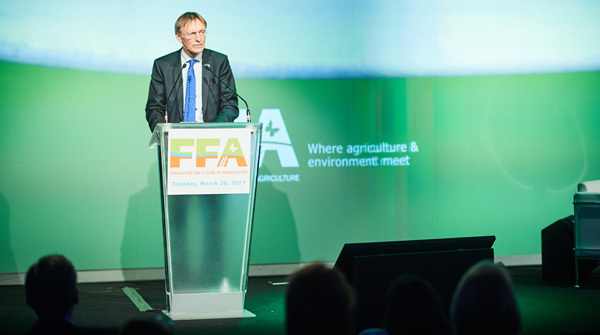 The FFA2017 Chair noted that the challenges ahead are not only material and economic, they are also profoundly spiritual. “They ask us to re-examine our place in the world and what our dominance of the land means to us in the long term.” The point was underlined in a Vatican Letter from the Cardinal Secretary of State on behalf of the Holy Father, read out to the conference by His Excellency Monsignor Alain Paul Lebeaupin. The letter expressed the hope that through the dialogue created by the Forum each participant may “be inspired to intensify the work already begun and to make it ever more creative and better organised”. After briefly summing up the contents of the individual sessions, Mr Potočnik closed the forum by repeating his call for rejection of the compass that has navigated our society in previous centuries. Failure to do so, perhaps because of a reluctance to leave our current comfort zone for the unknown, would lead to the cliff 's edge. The changes require a clear vision, new governance and strong leadership. Events in 2016, notably with the support for Brexit in the UK and the election of President Donald Trump in the US, he suggested, indicate voters are ready for radical change.